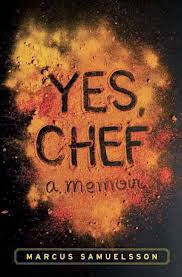 This month we discussed Yes, Chef by Marcus Samuelsson. Overall, this book was a big hit with the group. The book didn't have any recipes, but he has great cookbooks (available from the library) and a ton of recipes available online. Those who listened to the audiobook were particularly taken with his voice. Everyone thought he was a great guy and one member admitted that she is "a little bit in love with him". Many of us enjoyed the randomness of his story, and how it took the reader all over the world. But some of the favorite stories were just the little life stories, such as how Marcus and Mats met, and how Marcus's mom would dj for their disco parties (with only girl guests). People also loved how the Blatte soccer teams found each other. It is inspiring that despite from being from all over the place and different races, soccer brought them together. Which made it all the more devastating when he was cut from the team without even a warning from his coach. How satisfying to later learn he was a year younger than they realized, and not just small for his age! The food descriptions were just amazing, making the book really heard to read when hungry...left us salivating. It was sad that his African restaurant didn't work out, especially due to untrustworthy backers, and through no fault of the food. We also loved how he explored NYC by bike and skates. His willingness to see the genuine and learn about various people's and cuisines is inspiring. 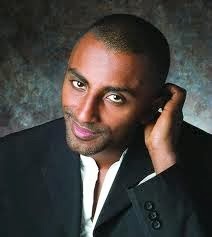 And his unique perspective on race made was fascinating. We were hugely frustrated that he had to buy his own name back from his partner, after working so hard to establish himself. Favorite quote: The part of me that says "I can" is always a just a little bit louder than the part of me that say "I can't". Dawn - Massaged Kale Salad - off his website - because we never have enough green! Heather- spiced quinoa, apple cake #1 and mojitos - "New American Table"
The Night Circus by Erin Morgenstern. There are some yummy food descriptions, and lots of room for creativity! Katie S. found this great link with a list of all the food in the book to get you started.